Wow! Beautiful, radiant music which has emerged from Sarah Patterson's "Nandita's Dream" project. 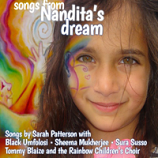 Upbeat world music and songs by Sarah Patterson follow the journey of Nandita. Featuring: Black Umfolosi, Sheema Mukherjee, Sarah Patterson, Sura Susso, Tommy Blaize and the Rainbow Children's Choir. This is music for the child in all of us, whether we are 5 or 95. "Nandita's Dream" is a transformative, moving and inspiring story of a young girl's journey into the dream world, an adventure for everyone about following your dreams and trusting your heart. Infused with a love of nature and co-creation, it blends the new with the ancient and tribal. So what's your dream? What's your dream for the world? 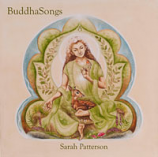 Sarah Patterson and her fellow musicians beautifully weave together irish Gaelic and Tibetan blessings in a deep song of stillness, invocation and prayer to the divine feminine. All proceeds from this sale go to support The Pachamama Alliance. Thanks for contemplating buying this song, all proceeds from this sale will go to support "One World Mosaic" (formerly"Mosaic Earth"). 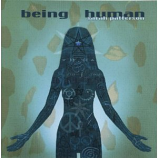 Om Shanti chant with a Peace whispered rap from Susannah. Calm and tranquil ( despite the appellation of "rap"). Beautiful and calm.